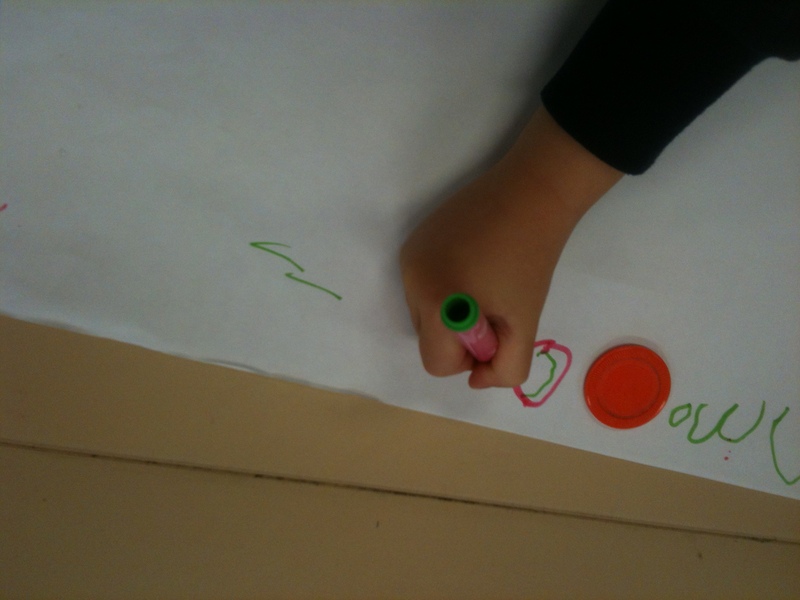 PrepD Student Led Interactive Writing (5&6 Year Olds) March 2012: Week 8 of first year of formal education in Australia. History: PrepD Student Led Interactive Writing is a strategy I developed from the Interactive Writing Teacher Led strategy I had been using in previous years. My professional reading led me to re-think this strategy and ‘switch it up’ to maximise the prior learning my students bring to school. The student – lead strategy is explained below in more detail. The key is students working collaboratively, sharing their learning, prompting each other and using skills and language generally used by teachers. One comment I received described this as ‘lending our cognition’, and I really liked this description. All students are engaged in the activity, each student committed to contributing with the support of their peers if needed. 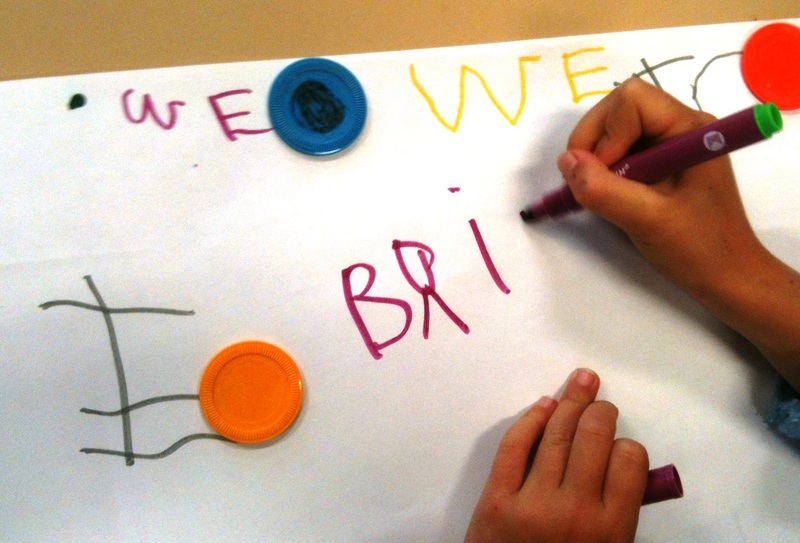 Groups can be structured to support children, or to extend groups of children. The teacher is able to run a teacher led group concurrently, which I do regularly but not at this stage of the year. The children need to be confident and have experience with the process before I can withdraw. Each child is identified by a color which they select, and all are given the opportunity to lead a group. Teaching leadership skills concurrently is essential. The children are given poster sized sheets to write on and textas. 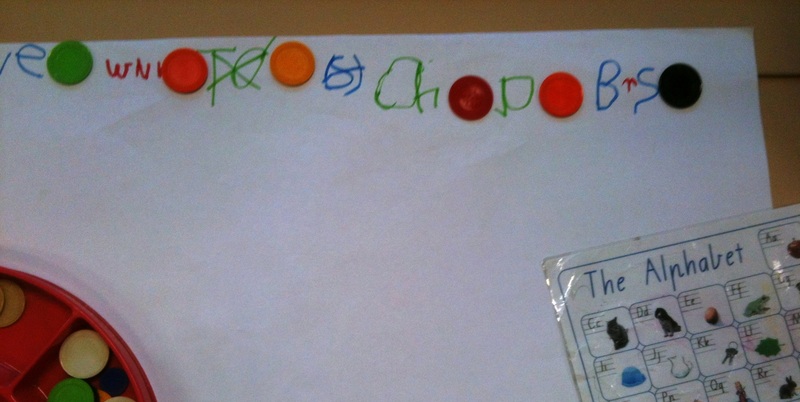 The role of the group leader is to ensure their team record their name on the side, that all resources are ready (alphabet tool cards and writing spacers) and that each child contributes in name order. I use PrepD Student Led Interactive Writing to assess and plan my weekly writing foci for individuals and the whole class. The color used identifies the writer. It’s interesting to note that my student’s independent writing improves rapidly. I’m looking for the transfer of my teaching into my student’s Independent and Interactive Writing. 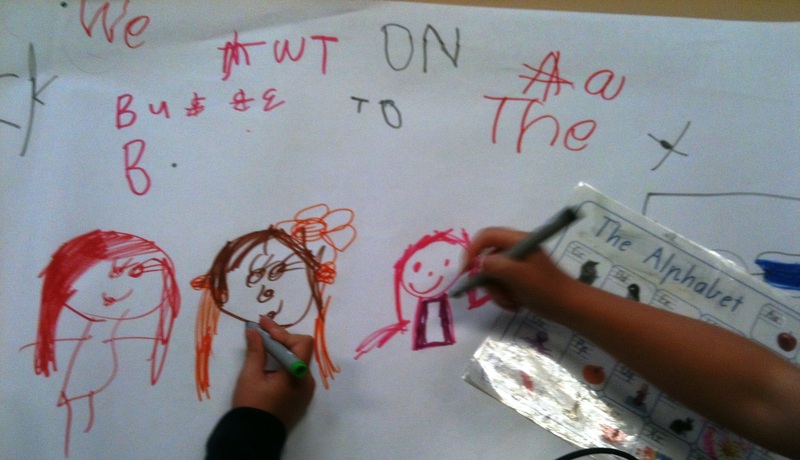 Modelled Writing and Shared Writing are also planned into a weekly program from week one. We get going quickly. Language Experience and Inquiry is my ‘holy grail’. By the middle of the year my students are able to identify their learning needs and will suggest the foci for writing sessions. That is powerful! Some children and they are 5 or 6 years old, will teach the writing focus or make suggestions for me to use. Groups share their writing with the class, with little books made using their Interactive Writing texts used for reading. This strategy extends highly able students, develops students working at the standard expected and supports less able students. I believe it accelerates the writing ability of all students. We always start each learning engagement with WALT-er: We are learning to…. and WILF– What I’m looking for…. 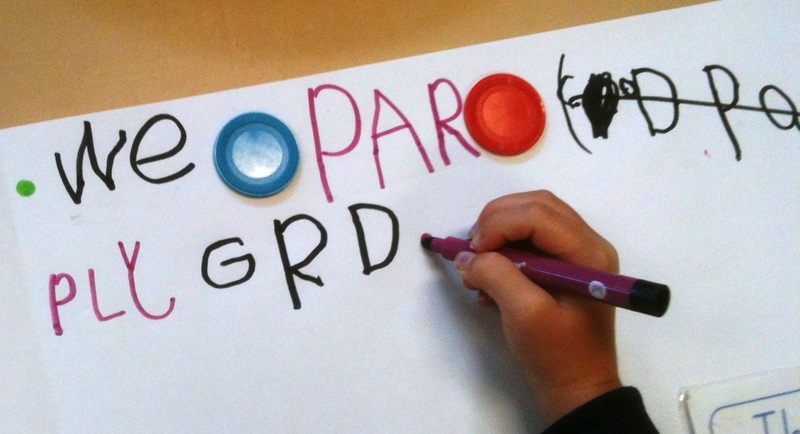 At this stage of the year our WALT is, ‘we are learning to write a sentence…. and WILF has been unpacked by my students. They are able to articulate the task. What I’m looking for is…. capital letter at the beginning of a sentence, a full stop at the end of the sentence and spaces. At the end of a writing task groups share their writing with the grade and we use WILF to check. Walter and Wilfred are characters and are common language and practise at my school. 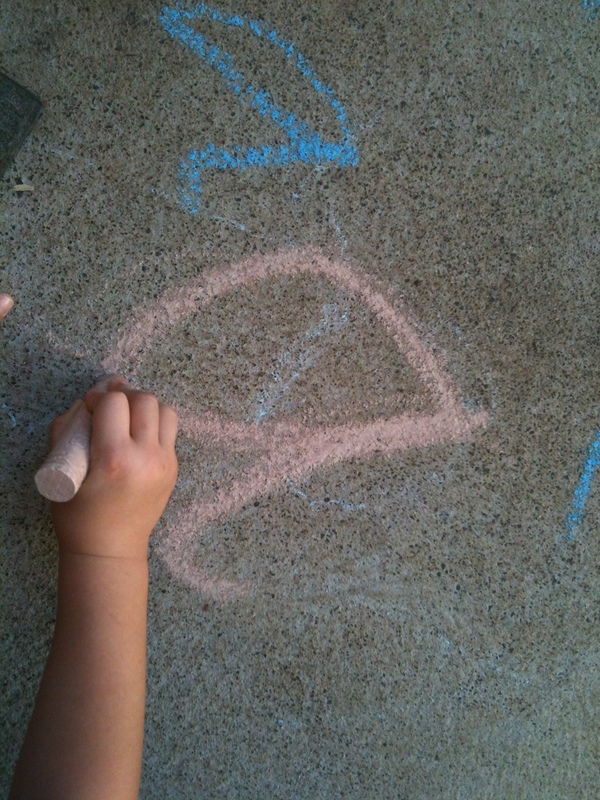 I’ve included photos of some of the activities my students have been doing. This is the last week of term for my 5 year olds. Last week was their first full week of formal education. It’s been a busy year, but my students have settled well, initial assessment is complete, Prep cohort review for English On Line government assessment has led to excellent educational discussion, planning for teaching and learning at my/our student’s ‘point of need’ has commenced.